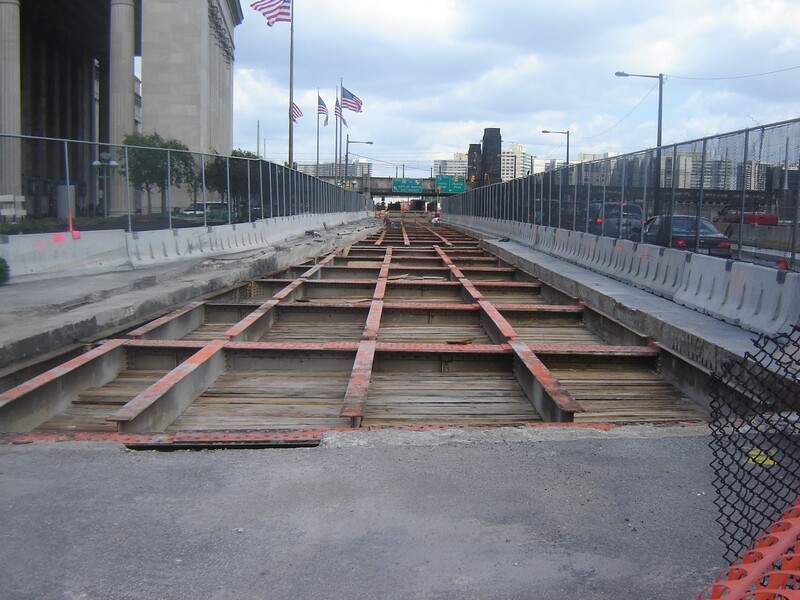 JMT performed preliminary engineering, final design and construction consultation services for the rehabilitation of JFK Blvd. 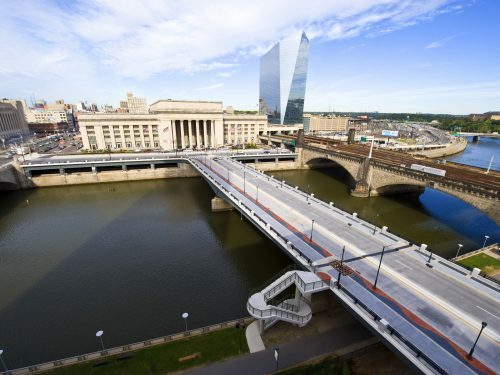 over the Schuylkill River in Philadelphia. 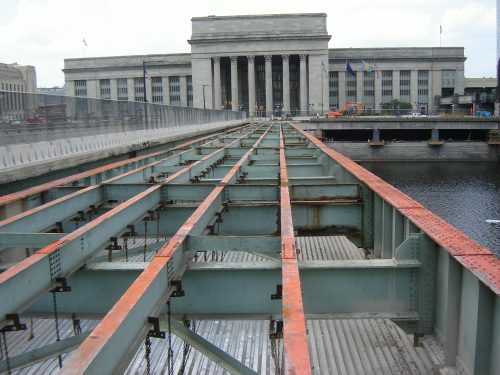 This project was originally intended as a full, in-depth bridge inspection and superstructure rating analysis for the three-span, 475′ length, haunched steel girder bridge. 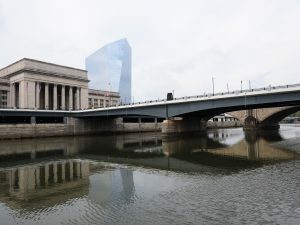 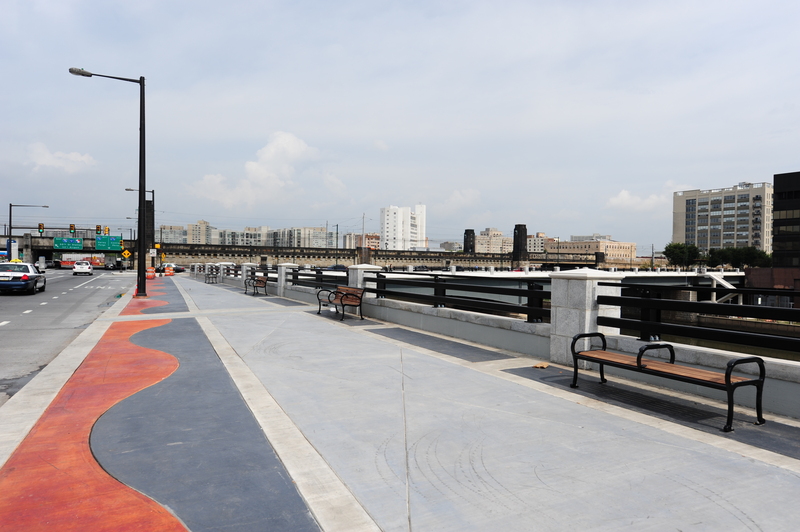 However, the Schuylkill River Development Corporation (SRDC) suggested that a unique opportunity existed to improve the experience of pedestrian users by transforming the bridge into a promenade and connecting the structure to the Schuylkill River Park Trail below. 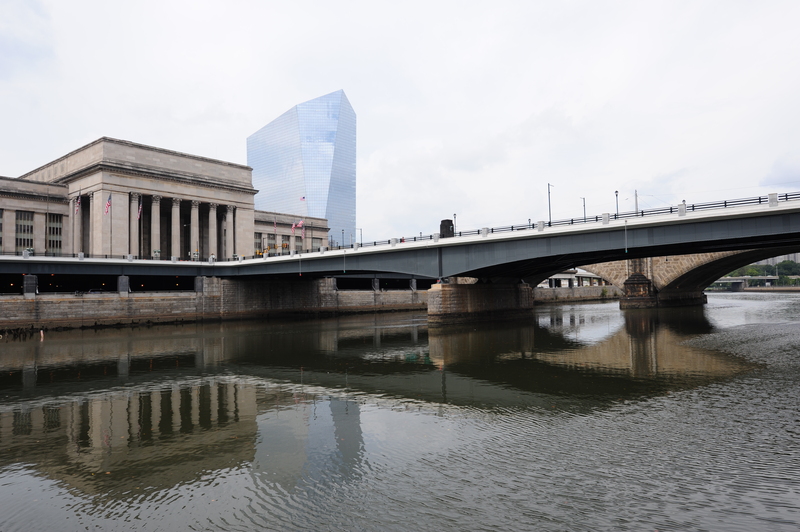 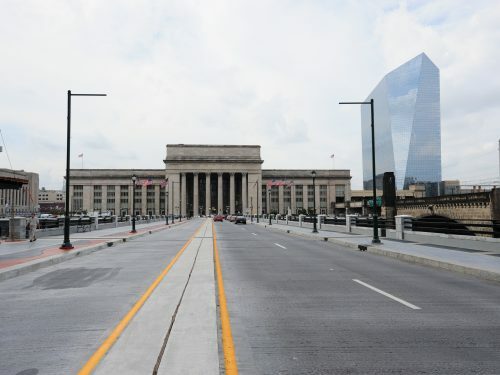 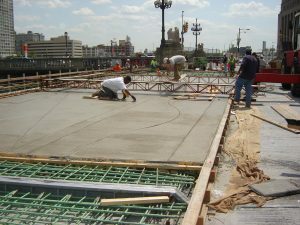 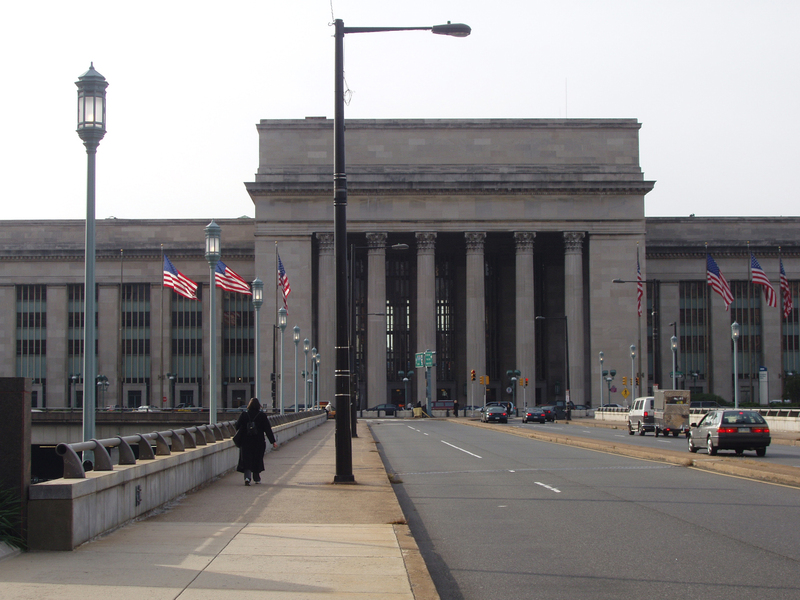 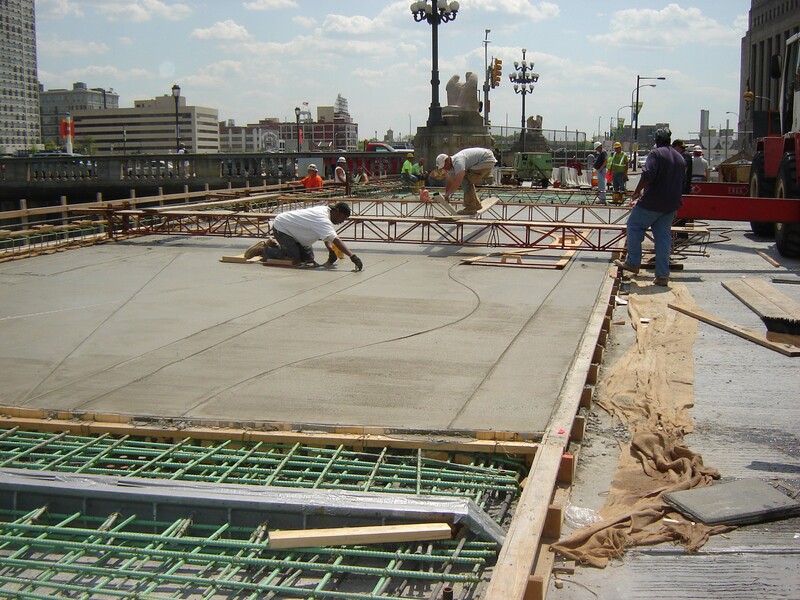 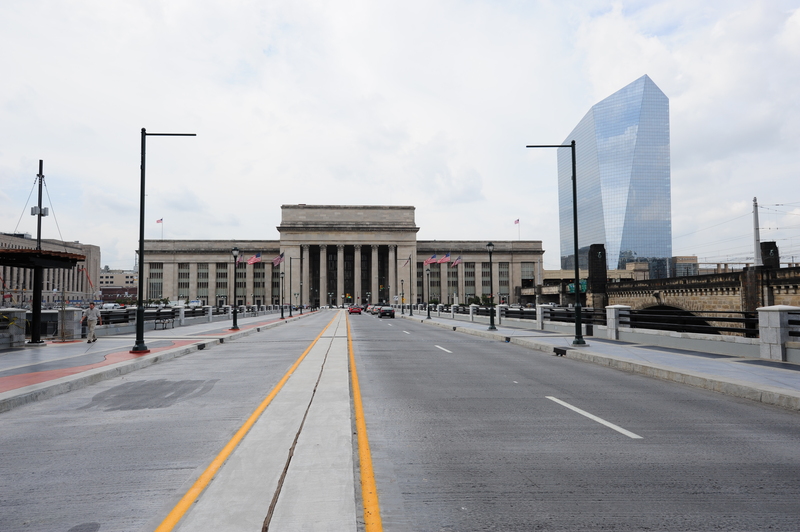 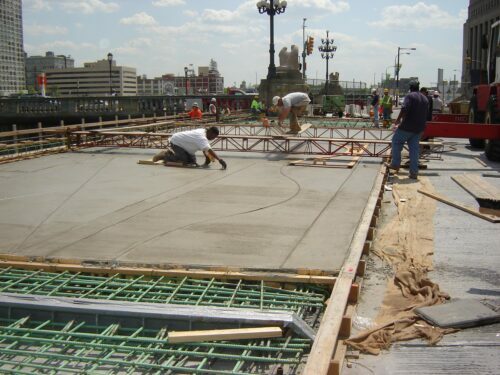 JMT coordinated with PennDOT, the City of Philadelphia, and SRDC to develop numerous solutions that would enhance the appeal of the pedestrian walkways on the structure. Perhaps the most substantial of these solutions involved complete removal of one of the traffic lanes to allow for a 20+ foot wide sidewalk on the eastbound lanes. Sidewalk widening, coupled with development of a complete streetscaping plan, transformed the bridge from a mere conveyance into a place where users can gather to spend time and appreciate the Schuylkill River. Features included benches, architectural street lighting, banner poles as well as a decorative (colored concrete) sidewalk plan and an architecturally modified roadway barrier. 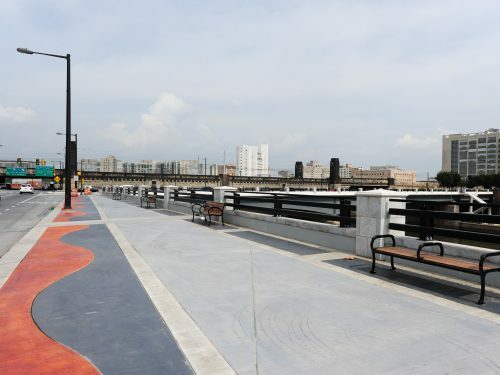 Additionally, JMT designed a staircase that meshed aesthetically with the other park trail structures to allow pedestrians direct access to the trail below, which previously was only possible by way of a several block walk. Additionally, an “Entry-Portal” trellis structure was placed at the top of the staircase, on the bridge deck, to provide a visual cue to pedestrians that an entry to the trail was nearby. 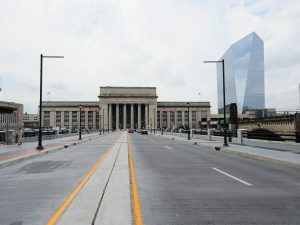 Public involvement and coordination with the railroad were top priority goals to ensure that the project was completed to meet the accelerated design schedule. Despite the transportation enhancement segment of this project being added midway through the preliminary process, JMT managed to reanalyze the structure and develop final construction drawings by the client’s required let date. 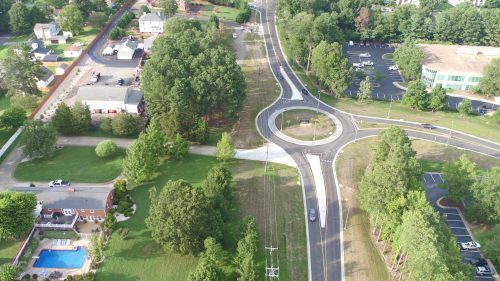 All submissions, from preliminary design through PS&E, were delivered on time, with the various stakeholders getting a product that met their needs. 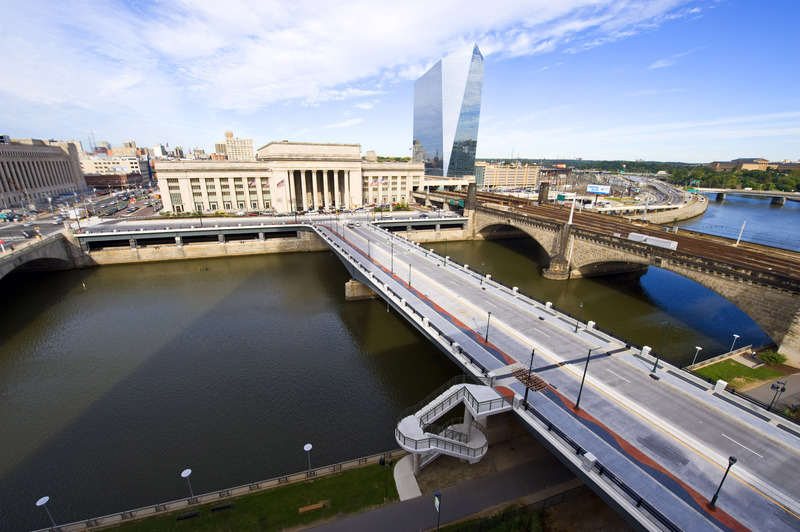 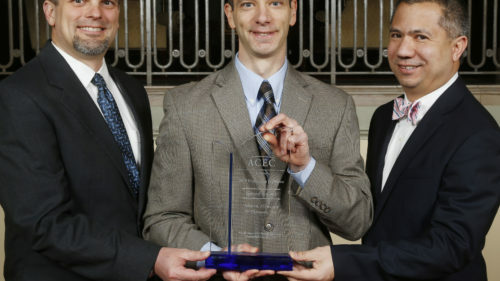 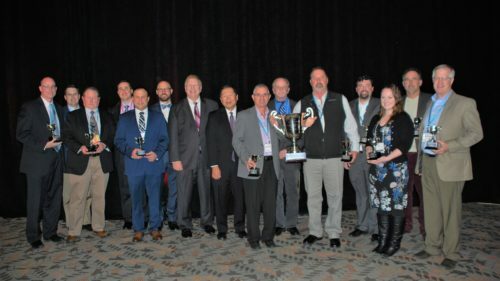 This project was awarded the Outstanding Rehabilitated Bridge by the Association for Bridge Construction and Design (ABCD).